A cinnamon streusel coffee cake in a brownie. 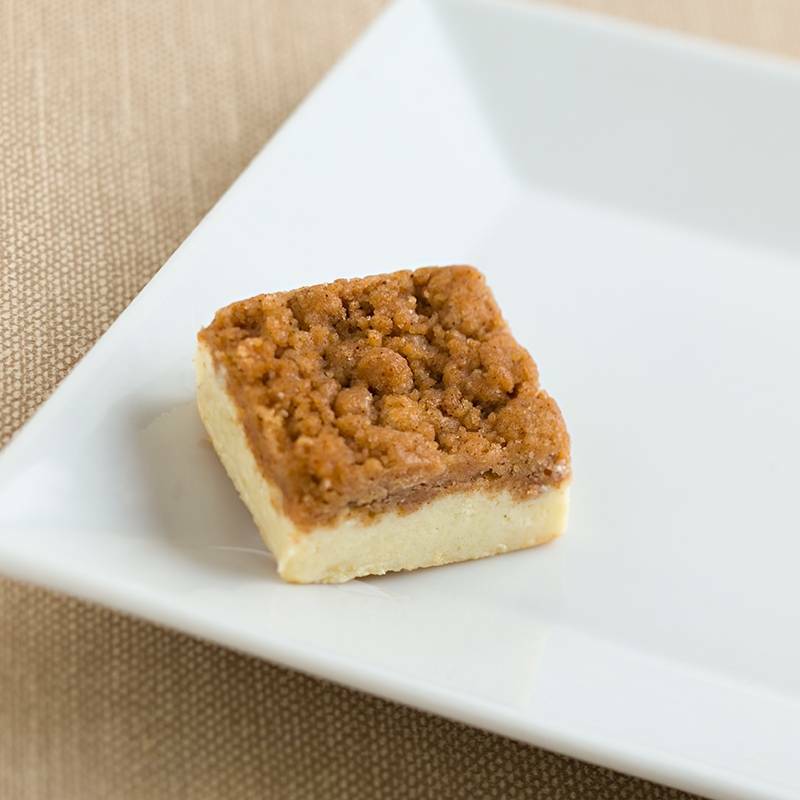 We have taken our buttery blondie and topped it with a freshly made cinnamon streusel. Perfect anytime of the day, especially at breakfast.